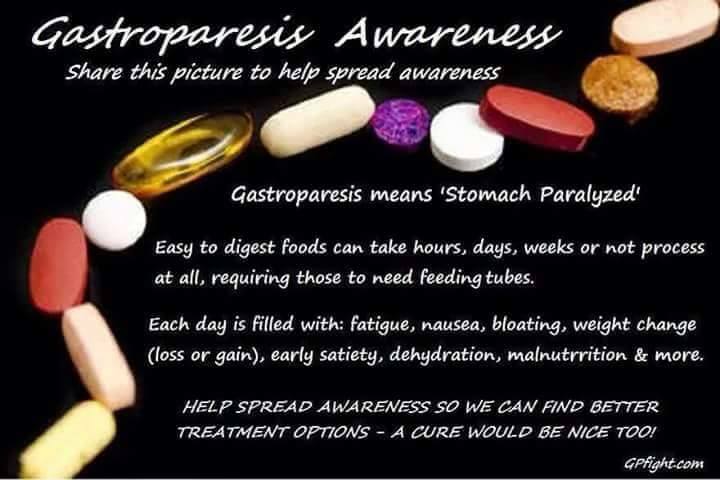 I have suffered from gastroparesis for over 20 years now, this is a terrible illness! There really needs to be more studies done on this and I am asking you to please pass this bill! There are so many that suffer from gastroparesis and more studies need to be done to help us! You have no idea how bad it really is until you have it and it completely controls your life and you can’t eat and if you do, you vomit. You stay nauseous all the time… please help!